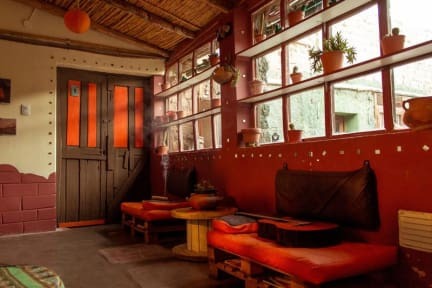 Hostel La Humahuacasa, Humahuaca, Argentyna : Rezerwuj teraz! 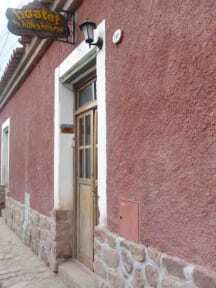 It is a pictoresque house of adobe (mud), which in its begenning, decades ago, functioned as a youth hostel. Today, we offer friendly personalized service, with amenities and activities for those who want to meet us. Humahuacasa features comfortable rooms, dorms and private, with shared bathroom. You have the kitchen available, like the stove with grill, library, TV, music and more. It also provides the possibility to rent bicycles to explore the beautiful landscape. In our hostel we combine the warmth, fun, respect, peace and good service. Besides being a clean and very safe.We wait! Located east of the province of Jujuy, located 2936 meters above the sea. Close to Route 9, the main access road to Quebrada Humahuaca is the largest settlement before coming to the highlands and the border with Bolivia. Quechua has a large population, typical stone streets and adobe houses, which bear witness to its colonial past, in which the people resisted invasion, and helped forge victory in times of struggle for independence. It is probably because of its history, its present, its museums, its people, who Humahuaca retains great cultural importance in the endlessly colorful landscape of the gorge.